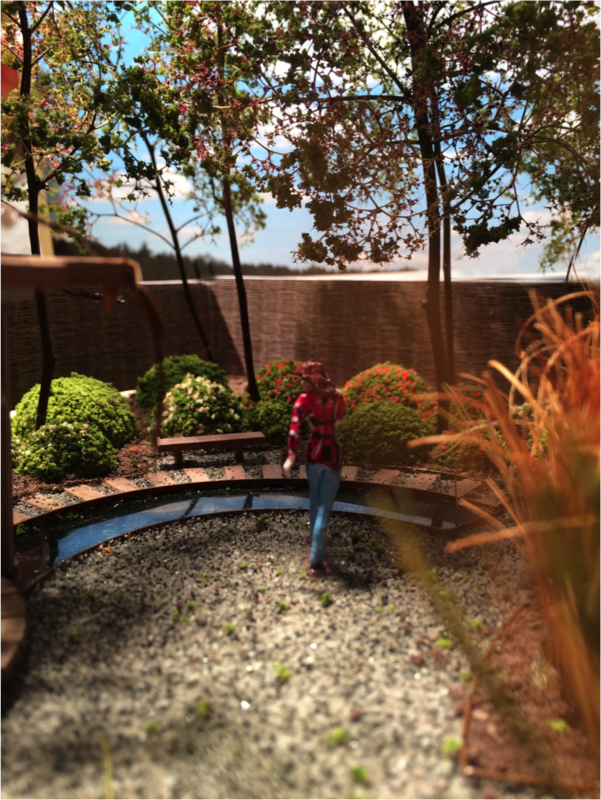 A 3D model representation for the design of a show garden measuring 22m x 15m. A converted shipping container with grass roof is home to a large roll top bath overlooking a silver birch copse to enhance the feeling of total relaxation. A mirror pool reflects the sky and the canopy of the woodland. A large mirror ball sculpture gives views of the surrounding garden space.